Last October, we started the Upbeat Dad with the purpose of touching lives around the world. And as I shared in the post from last week Thursday, 10,000 Hits Milestone and Countdown to Upbeat Dad Community Forum, we have exceeded expectations in terms of our reach. Every continent on planet earth is tuning in on a daily basis – except for Antarctica. I’m not too sure if they have the internet there anyway! But it’s really caught on quite well on a global basis. If you look at the history of our posts, you’ll get the sense that I have a large vision for making a difference in the world through this organization. You’ll also see that though I love to write and demonstrate that by doing a post every day, I’m more a person of action. So our community forum which will be held next week Thursday, February 10th in South Florida is a significant action that we’re undertaking. Please see the post referenced above for details of the event. Recently I’ve told some persons who have contacted me about the forum that we have enough problems in our world and in our homes for me to just identify the problems and talk or write about them. Talk is cheap – isn’t that what they say? Yes, talk is cheap. I want to do something to solve these many issues that plague the family because I believe that, with all the different issues that we identify, everything seems to lead to one conclusion – children get the short end of the stick when fathers aren’t involved in their lives. Some dads don’t care to be involved in any way, shape or form. They helped to create the kids but they want no part of raising them. I’ve heard some use the term sperm donor to describe these men. Other men do want to be involved but the system discourages them because of the way it functions. Two weeks ago, I spoke with a family law attorney who has practiced over 25 years in South Florida. She’s actually going to be speaking at our forum next week. She told me that the law, as it is written, is fair to both parents and the kids. But the way it is practiced is one-sided and biased against men. Women most often get their way – and though it might appear that it’s the men who lose, it’s the kids who are the real losers when the court becomes involved. Let me emphasize that she is a practicing attorney and a female. And with her extensive experience, she has seen the inner workings of the system from the perspective of her clients – both male and female. So she has more credibility than most to speak on this matter. And she’s saying what most people who have been involved with the system believe. As I wrote in the post The Great Oxymoron: Family Law, I believe that the very system that is supposed to be pro-family is the one that destroys families on a daily basis. I’m a man so I see things more from a male perspective. But can I tell you something? I’m not on the side of men. Neither am I on the side of women. I’m on the side of our children all around the world. The Carpenters sang, “Bless the beasts and the children, for in this world they have no voice.” That is so profound and so true. In the courtroom, they have no voice – yet decisions are made that impact their lives in a profound way. 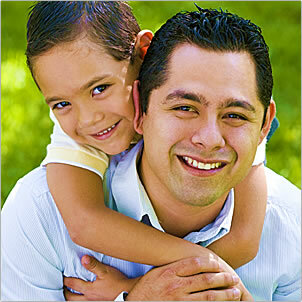 So I have decided to use the Upbeat Dad organization to serve as a buffer between the law and our children. In other words, I want the children to be protected from the potential negative impact of decisions that they have no role in making. So I guess you can say that I’m a child advocate more than anything. In our post Announcing the Upbeat Dad Community Forum, I likened the concept of the forum to the ground campaign in military combat. With over 10,000 hits on the blog in less than 4 months, the air campaign has gone quite well. But the ground campaign is where the victory is won. Having a productive exchange of ideas in an open forum is the key to solving our issues. I don’t expect everything in the forum to be smooth sailing. It's an open and honest discussion on fatherhood. 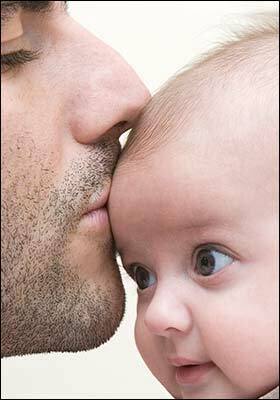 Fatherhood and all issues related to the topic affects men, women and kids. At this event, we want men and women - whether or not they are parents - to come out and share their unique perspectives. I know that people are passionate and some wear their emotions on their sleeves as they display their passion. That’s why as we have the forum next week, I will emphasize the need for a respectful exchange of thoughts. I’m not trying to reenact the scenes from some of the controversial talk shows we see on TV. A respectful, healthy exchange of ideas in an open forum will, in my opinion, be an enlightening experience for all. Why parents use children in a game of tug of war? 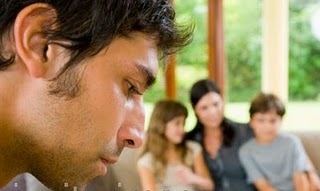 Does the family law system promote the deadbeat dad syndrome? Each of these questions could be the title of a book. You could really open a can of worms with each one. But the reality is that these issues are the very ones that we have identified that cause our fathers to be missing in action. This is why I believe that they must be looked at. I do plan to have these forums in different cities throughout the United States and in time, overseas. 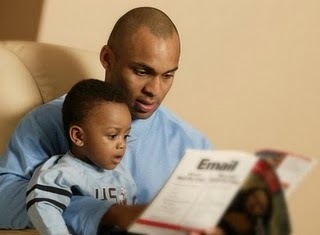 Fatherhood is a global issue and ours is a global vision. So without doubt, very soon we will be taking the show on the road, as the expression goes, to the nations of the world. If you are not able to attend our forum, fear not. We have secured the services of a video company and they will be taping the event. So you’ll see clips of our forum at your leisure. Stay tuned for more on that after the event. It’s all about sharing a message so I’m excited to share this with you even though you may be at a distance. 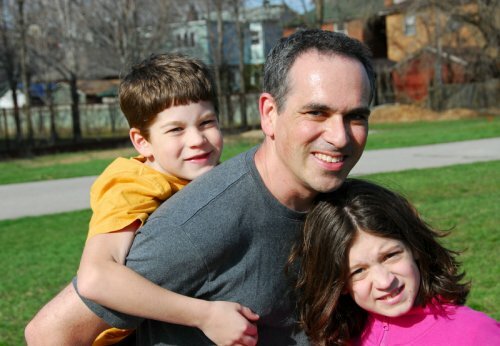 So I revisit the issue raised in the title of this post, “Why we’re having the Upbeat Dad Community Forum.” It’s all about our kids and what’s in their best interest. Collectively, we can identify, analyze and solve these problems. And the winners will be our kids. If you’ll be in South Florida on February 10th, we’d love for you to join us. We’re going to have a good evening – one that I strongly believe will be a catalyst for positive changes in our homes and in our lives. I can think of no better cause than one in which we do what’s best for the most innocent and vulnerable among us – our children. That’s something that ought to make us excited. Please join us in this bold endeavor. Because our children are worth every effort we make.